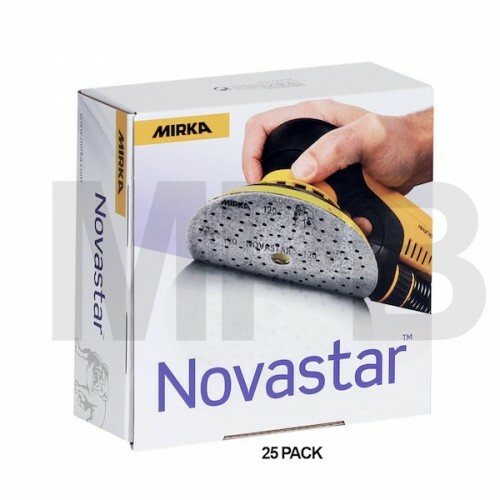 Novastar is a premium film abrasive that tackles demanding applications with unexpected ease. It has a mix of ceramic and aluminium oxide grains on a flexible film backing, with a precision coating that practically repels dust. The grains stay sharp as clogging is prevented. Great durability and excellent edge wear resistance. Dust extraction optimised with multihole pattern. Novastar delivers remarkable results, especially on hard surfaces. Outstanding performance makes it the ideal film abrasive choice for professionals in any industry.